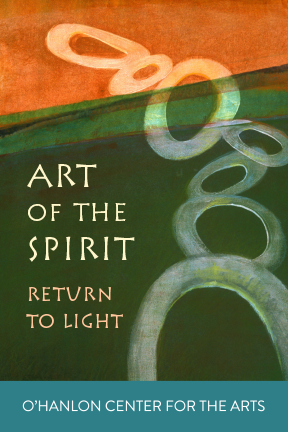 We’re continuing our annual tradition of celebrating Art of the Spirit in December at O’Hanlon, and we invite artists to submit work for our next exhibit subtitled “RETURN TO LIGHT.” Submitted work should relate to some aspect of LIGHT. We encourage artists to express from their own personal experience of spirit & light in their lives. Julie Zener has established herself in the art industry as a gallery owner, art dealer, art curator, and artist manager. 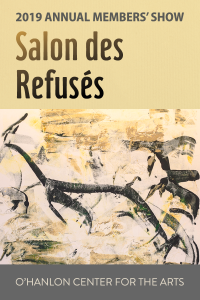 She represents a broad range of national and international artists who varied in style from oils, photography, sculpture, and mixed media works. In 1997, she launched her career as an art dealer living in San Francisco. She then lived and worked in Santa Barbara and Spain, and ultimately landed in Mill Valley in 2005 working as a private dealer and artist manager. She created gallery relationships, performed public relations, licensed imagery, and sold artwork directly to many prominent corporations and private individuals for their collections. 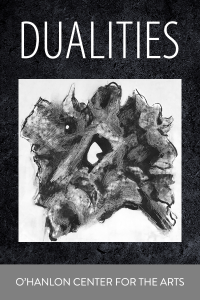 Julie participated in numerous art fairs including Affordable Art Fair/NY, Red Dot/Miami, Art Market/SF, Art Aspen, and SCOPE in Miami/Art Basel. She has curated successive art exhibitions and added to her repertoire as art curator for Red Bull, in which she researched and curated 20 artists from each major city to exhibit at highly publicized and attended national art events. Her three year involvement in the tour exposed her to curate exhibitions comprised of many urban influenced and contemporary street artists from popular cities around the nation. In 2014, Julie opened Zener Schon Contemporary Art (ZSCA) in Mill Valley, CA with Tara Schon. The gallery sold works by prominent artists and consecutively curated the murals and large scale sculptures at Bottlerock music festival in Napa, CA. 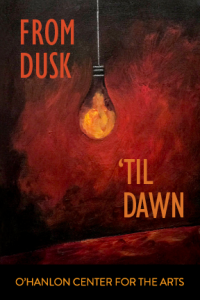 O’Hanlon Center for the Arts invites you to submit work for our October 2018 Exhibit: “From Dusk ‘til Dawn” The time from Sunset to Sunrise begins and ends with a transition of light… and reveals the nightscapes, with lights both naturally occurring (celestial, fire, phosphorescence) as well as human made (electric, neon, LED). How do you visually describe the dark of night? 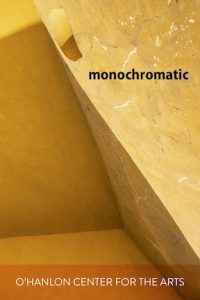 You may perhaps use greys and midnight blues leading into amber and burnt orange… or other evocative color combinations. We look forward to seeing how you reveal the feeling and moods of this in-between time… when mystery and wonder hide in the shadows. All workmust be ready for display. Paint, glue, etc. must be dry! Wall hung piecesmust be securely wired. Label all workwith Artist’s name, Telephone, Medium, Size& Price, if for sale. While David Harris is most widely known for his illustrious career as a writer, journalist and political advocate, he has been creating his own artwork for fifty years. 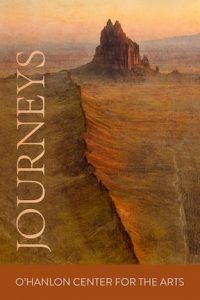 He has written extensively for the New York Times, Rolling Stone, and other periodicals, as well as authoring seven major nonfiction books on diverse subjects. Click here for more details on membership. 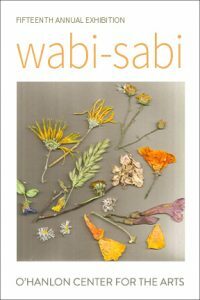 O’Hanlon Center for the Arts invites you to submit work for our 15th Annual Wabi-Sabi Exhibition. When seeking to understand Wabi-Sabi, it is helpful to contemplate the idea that beauty is inherent in a simple object, which in turn evokes a quiet, thoughtful mood and atmosphere. The emphasis of this exhibit will be not on the final perfected form of the work, but on how well pieces reflect a sense and feeling of this elusive concept. In particular, focus will be on the imaginative use of natural materials that may include found objects. Mary-Ann Milford-Lutzker, Professor of Asian Art History, holds the Carver Chair in East Asian Studies at Mills College, and is chair of the Department of Art and Art History. She received her PhD from the University of California, Berkeley. She teaches the history of art of India, China, Japan, and the Himalayas. Her early work focused on classical Indian and Indonesian art for which she wrote on and curated exhibitions including The Image of Women in Indian Art, and Myths and Symbols in Indonesian Art. Since the mid-90s she has been working with women artists in India. In 1997 she curated Women Artists of India: A Celebration of Independence, an exhibition that was part of the Festival of India that celebrated India’s fifty years of independence from British colonial rule. In 2001 she curated Mapping a Life, the first retrospective of Zarina Hashmi’s art. She has written extensively on Indian women artists, and written and curated exhibitions of Asian American artists, including Mayumi Oda, Wang Ch’ang-chieh, Narae Mochizuki, etc. In 2008 she co-curated The Offering Table: Women Activist Artists from Korea. 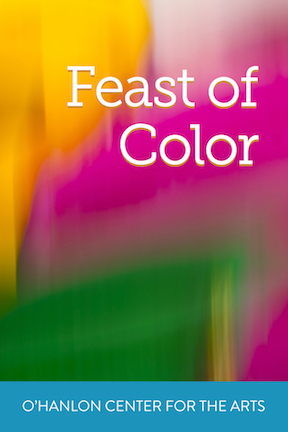 In 2012 she was an NEH fellow at the Institute for Asian American Art, New York University. In 2017 she curated In-Between Places: Korean-American Artists in the Bay Area, and wrote for the exhibition catalogue. 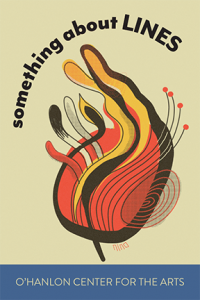 DESCRIPTION: This is an annual exhibit at O’Hanlon since 2009, celebrating works of local women artists! 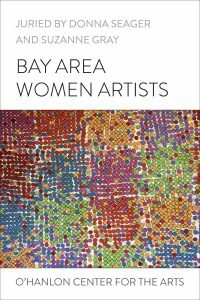 Eligibility: Open to all Bay Area Women artists, aged 16 and over. MEDIA: All Media, including 3D or sculptural works,with emphasis on exploration, process, and imaginative use of materials and content. This is a JURIED SHOW; not all works submitted for consideration will be selected for the exhibition. There is a limit of three works per artist. Only online submissions will be considered for this show. Digital Files: Before submitting your Digital images, It is very helpful if you name your .JPG or .PNG files with artist’s Last Name,First Initial, and Title of work. (File name example: smith.j.untitled1.jpg) You will also be asked on the form to enter the artwork dimensions, and medium(s).You may also include an optional brief art statement (100 words or less) about the media or process used in the artwork. Payment:Online payment via credit/debit card with your artwork submission is required. Pieces delivered by hand for Round 2 must be ready to display, with any necessary hanging material in place, and instructions.Paint/Ink/Glue etc must be dry.Works cannot be shippedto OHCA, but may be delivered by anyone representing the artist. All accepted works must be labeled with artist’s name. Entries will not be accepted for consideration if they are not ready for display when received. Display tags will be created when you drop-off artwork, and we will give you information about Gallery policies, and you be able to leave artist statements or resume. The juror(s) will make their final selections for the Exhibit from the items that are hand-delivered. All artists participating in Round 2 will be notified about which works have been selected for the final installation by Tuesday, July 31 at 5 p.m.
Those hand-delivered works not selected for final installation must be picked up by Tue August 7 at 7:30 pm unless alternative arrangements are made. A native of New Orleans, Donna Seagerbegan in the art business in 1978. She was the director of Marlborough Gallery in Boston before moving to California in 1989. She continued to work in galleries in the bay area until 2005 when she opened her own gallery. Seager has distinguished herself for her discerning eye and commitment to the arts in her community. She has given lectures on the art of the book at international fairs in Miami and San Francisco. In six years, the gallery became a destination for artists and collectors all over the bay area. Suzanne Gray, a resident of Mill Valley grew up in upstate New York and studied journalism and art history at Syracuse University and San Jose State. 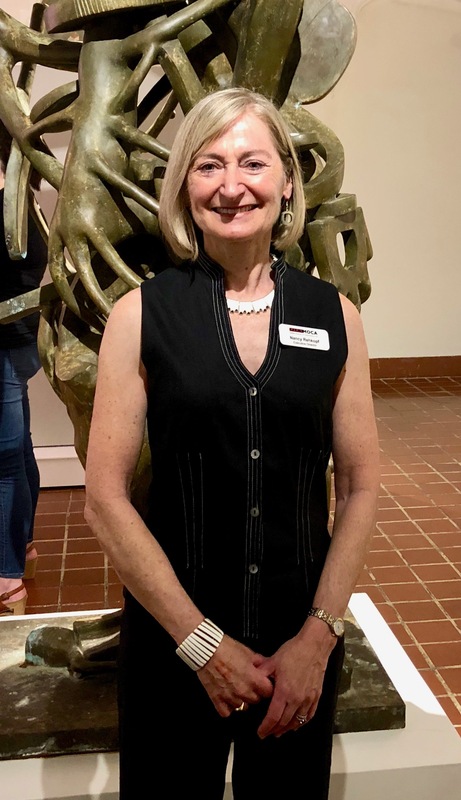 Her lifelong interest and background in art and art history landed her a position at Donna Seager Gallery where she became an integral part of the business and ultimately a valued partner. Gray’s skills extend themselves to professional art consultant services and she has overseen both commercial and residential art programs. Her knowledge of the art market, sophisticated eye and understanding of art placement have gained her the trust and respect of her clients.